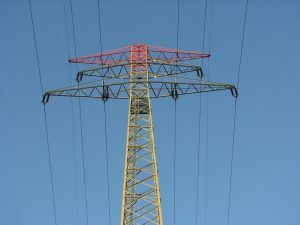 Utilities Emera Maine, Nova Scotia Power and Toronto Hydro will team up on the project with Opus One Solutions, Advanced Microgrid Solutions (AMS), Smarter Grid Solutions and the Center for Urban Energy at Ryerson University. The utilities plan to demonstrate various microgrid capabilities at projects in Maine and Eastern Canada. These include delivery of virtual resources – a hallmark of team member AMS — as well as a microgrid’s ability to provide feeder load relief, volt/VAR optimization and conservation voltage reduction. Emera Maine will offer an example of the growing use of microgrids as ‘non-wires alternatives.’ Such microgrids are built in lieu of substations or other more expensive utility infrastructure. To be sited at the utility’s Hampden Operations Center, the solar-plus-storage microgrid may allow Emera to defer work on its distribution system, as well as avoid use of diesel fuel generation, its primary source of back-up power. “This project not only will lower energy costs and increase reliability for our Hampden Operations Center, it will help us to manage distribution feeder load in the area, which will potentially defer the need for distribution investments,” said Alan Richardson, president and chief operating officer of Emera Maine. Emera said that the project is expected to pay for itself, with no cross subsidy from utility ratepayers. Emera’s microgrid also includes a level 2 electric vehicle charging station, and an advanced microgrid controller. The battery will be supplied by Tesla. Meanwhile, Nova Scotia Power plans to build a feeder-based microgrid with wind power and both grid-scale and residential energy storage. Toronto Hydro’s project will feature distributed energy resources management. Opus One Solutions, an Ontario software company, is leading the international project, which also will demonstrate a key economic proposition of microgrids — their ability to transact in regional wholesale markets. The project will manage resources and transactions using an analytics and economic optimization platform by AMS and Opus One’s GridOS, a real-time distribution energy networking platform. Project funding for the multi-utility microgrid project will come from the team members. Sustainable Development Technology Canada, an arm’s-length foundation created by Canada’s government, will provide $4 million. 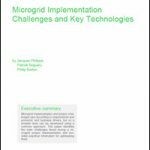 Track progress on this multi-utility microgrid project by subscribing to the Microgrid Knowledge newsletter. It’s free.